Think again, and differently, about the relationship between human society and the natural world. That is the challenge offered by Christophe Bonneuil and Jean-Baptiste Fressoz. A visual representation of geological time. From the Smithsonian Institution. us to subvert the “unifying grand narrative of the errant human species and its redemption by science alone”. But this is not an iconoclastic rant. 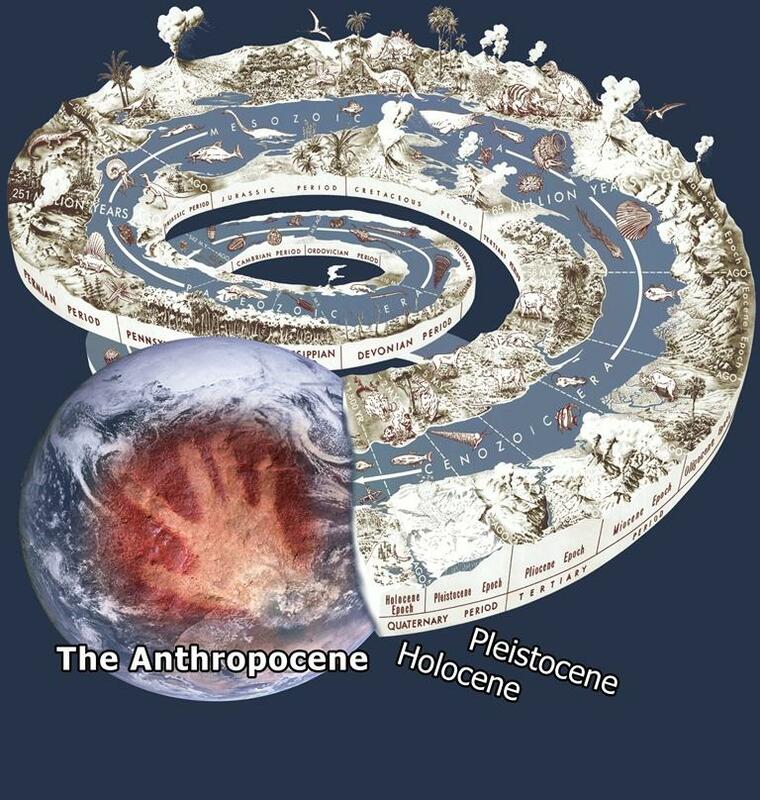 It is a scholarly discussion of the science behind the Anthropocene concept, and its implications for history, for the study of society, and for our ideas about the world in the broadest sense. A central theme is the reflection of the terrifying accumulation of damage to the natural world by human activity over the past two centuries in the history of ideas. The dominant trends, to divide natural history from human history and to push the natural world out of economics, have been resisted. The fact of the Anthropocene, Bonneuil and Fressoz argue, requires a new synthesis of forms of knowledge. They avoid offering any simplistic, pat “solution” to the disastrous rift between human society and the natural world. Instead, they point to new ways of looking at it that, collectively, may help us to change it. You are currently browsing the People and Nature blog archives for February, 2018.